Young Playwright Festival entrants submit an original one-act play of 9-12 pages, are sponsored by a teacher who serves as the liaison between City Opera House and the student; and are Michigan high school students. Finalists are matched with national playwright mentors to hone their talents and plays, see their original works produced and performed on the City Opera House stage and receive a $100 award. Entries were received from schools including Benzie Central High School, Cadillac High School, Elk Rapids Public School, Interlochen Arts Academy, Leland Public Schools, Mancelona High School, Northern Michigan Home School Group and the TBAISD Career-Tech Center Front Street Writers: Bellaire High School, Glen Lake High School, Grand Traverse Academy, Kalkaska High School, Kingsley High School, St. Mary Catholic School Lake Leelanau, Suttons Bay High School, Traverse City West Senior High School, Traverse City Central High School. The Eighth Annual Young Playwrights Festival performance is Sunday, April 14, 2019 at 1:30pm. This event is free to the community. Join us for the debut of six new one-act plays. Your voice. Your topic. Your play. City Opera House invites regional high school students to submit an original one-act play—just 9-12 pages with 4 characters or less—to the 8th Annual Young Playwrights Festival. Finalists are paired with national theater mentors, win $100 and see their play performed on the City Opera House stage. One-act plays are only nine to twelve pages of script with lines and spaces for each character and you only have time for one significant event. Start writing. Questions? Email ypf@cityoperahouse.org or call Diane Baribeau at 231.941.8082. 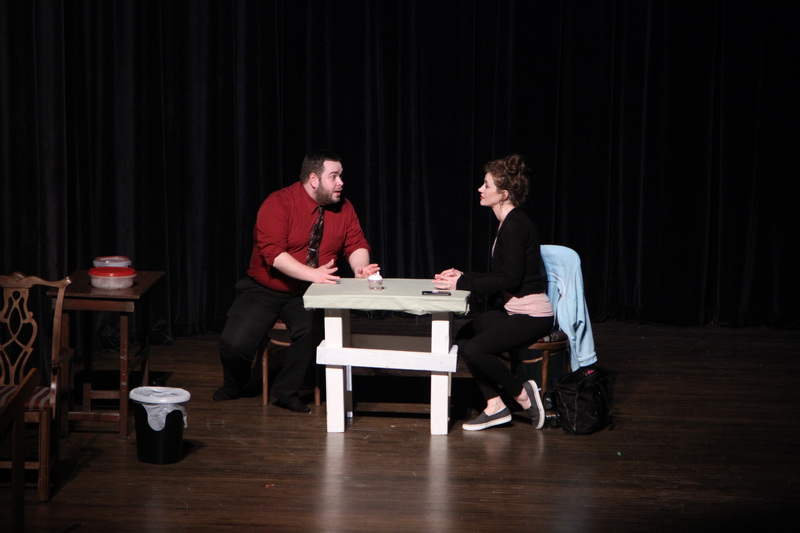 Educators and mentors play a vital role in Young Playwrights Festival. Educators and mentors play a key role in the success of the program. Whether you hand pick students with a passion for writing or incorporate Young Playwrights Festival into the classroom curriculum or program we welcome your support. The best plays have something to say. The best plays reveal something that we may already know, but in a unique way or with a different slant. Plays have a chance to move, repel or unite audiences. A play with a clear purpose, a clear premise, a clear message is always the best for me. Playwrights have a chance to illuminate whatever excites or angers them. Playwrights can always look for inspiration in their own lives, but they have a responsibility to shape these events into a unique message. Before you put pen to paper (or fingers to keyboard), know what you want to say.